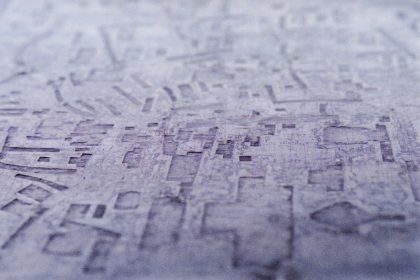 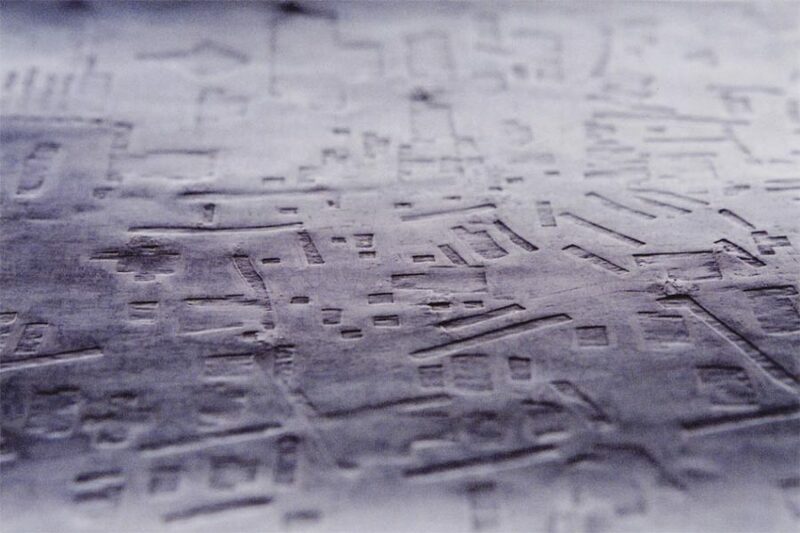 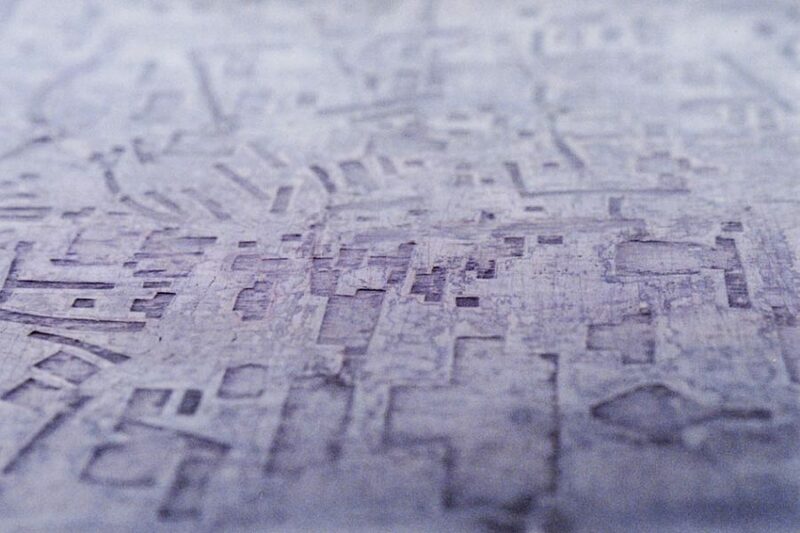 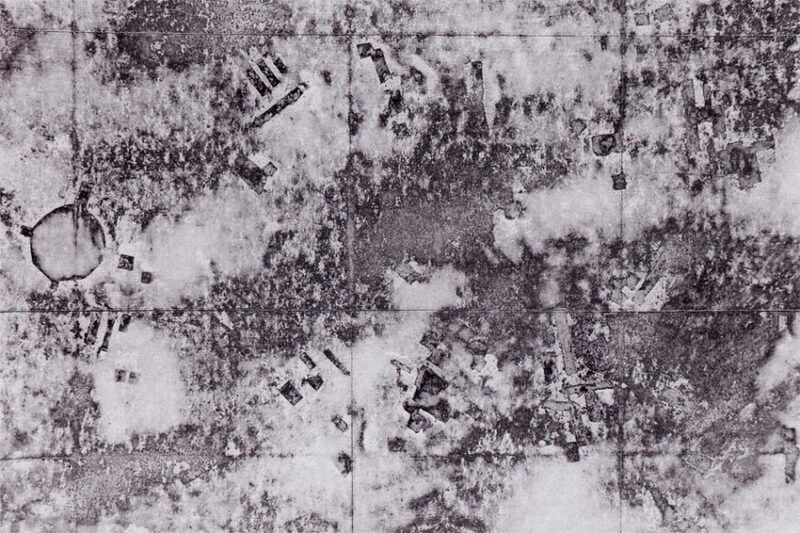 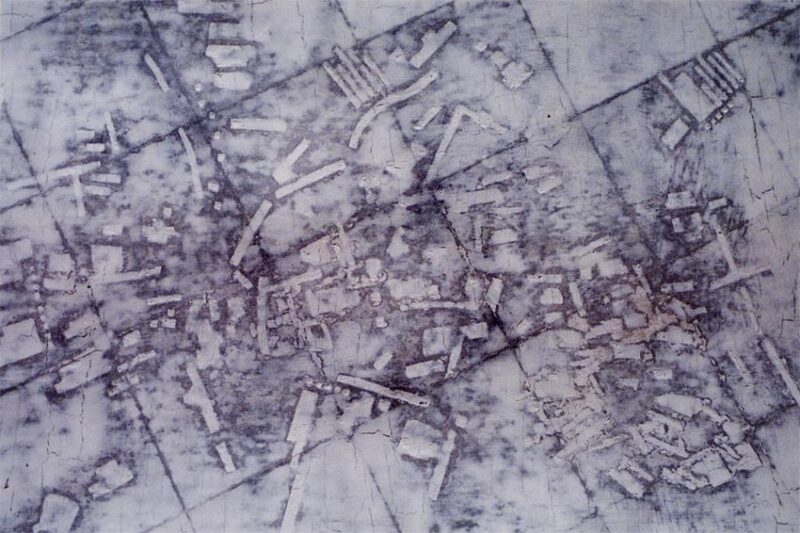 Created during a three month Artist Residency in the Shetland Isles in 2003, these de-constructed and re-constructed maps formed form a process that sought to reduce all identifying qualities of the map to transform it into a landscape born from reality but with little or no topological or geographical truth. 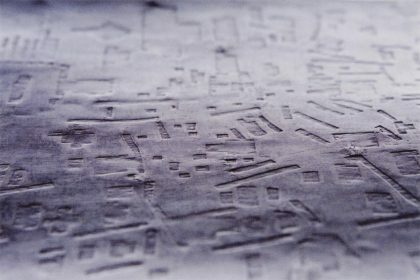 What sits as settlements, as buildings or fortifications are the remnant marks from the physical extraction of name places, reference points and all other pieces of text or lettering. 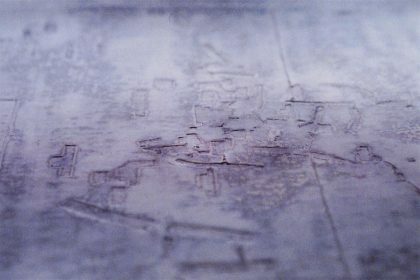 After a long process of layering materials, of cutting and rubbing back into the surface, the marks and images are slowly revealed; leaving what is a new image of a landscape that is real and yet not real and that exists yet does not exist. 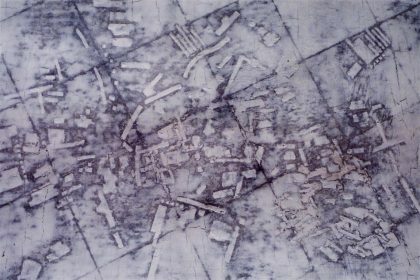 The map the symbol becomes the map the image, a landscape seen from above that is both familiar and alien, plus truth and lie.